In this sponsored post, AVI-SPL shares tips to streamline and unify your organization’s collaboration environment. Every enterprise is striving for the ultimate one-button solution to launch meetings from the user's device, location, and platform of choice. However, incompatible solutions from multiple vendors create a hodgepodge of disconnected collaboration technologies that are difficult to manage and maintain, which Frost & Sullivan calls "a mess of technology islands." Rather than representing a tropical paradise, disconnected technology islands result in video conferencing rooms and other spaces going unused because they don't support the user's preferred devices and platforms. These technology islands can create chaos for IT teams too, because they must scramble to support frustrated users who want easy-to-use solutions that work every time. IT teams also must maintain unused technologies, impacting their resources and their ability to respond to issues in a timely manner. If your organization is a sea full of technology islands, here are five steps you can take to align technologies, reduce user frustration, and stop wasting space and budget on unused solutions. Audit your existing technology -- Auditing your existing collaboration technologies and monitoring their use will reveal employee preferences and tool inefficiencies. When purchasing new tools, make sure they integrate with the existing solutions your employees use most. Know your objectives -- Establish clear goals to avoid being tempted by the newest, shiniest technology that won't really meet your organization's needs. 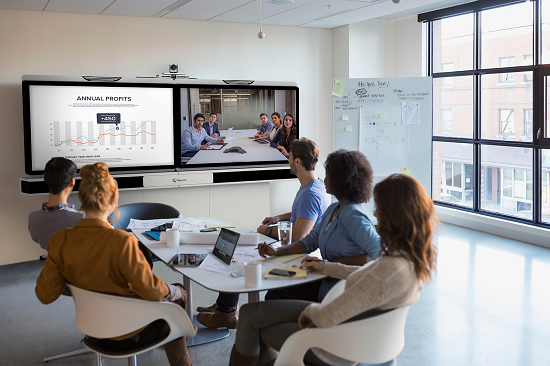 For example, if your organization wants to support more mobile collaboration, you want solutions that work just as well on a wide range of personal devices as they do on desktops. Standardize your solutions -- Most companies don't have the budget for an enterprise-wide technology overhaul that standardizes every solution and tool. However, your organization will save money in the long run by gradually implementing compatible solutions across teams based on strategic goals. Consider simplified and all-on-one solutions to eliminate islands and improve cross-functional collaboration. Future-proof your investment -- Business discussions about potential technology investments should focus on the way your teams work as well as on long-term organization goals. Consider cloud-based and software-based solutions that easily integrate with new and existing hardware. Take steps to improve adoption -- Technology islands are caused both by compatibility and connectivity limitations but also by user resistance to taking a leap with solutions they don't like or don't know. Consider offering training and education on new productivity and collaboration solutions to show employees how well they work with their personal devices and platforms of choice and how they will improve their work experiences. For more tips on streamlining and unifying your organization's collaboration environment, read this tech brief.